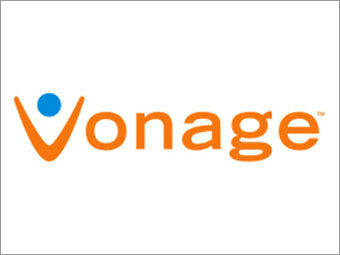 We have been using Vonage for our home phone service for years now, and pay for the service on a yearly basis. To our surprise they decided to increase our yearly cost by quite a bit and failed to notify us that they were going to do so. Well other than the notice that they had charged our card for the yearly fee. When I called their customer service to get an explanation for the increase, there was no good answer other than that’s what we charge. Now to make matters worse my wife found a price online for new customers that would have made it even cheaper for us to cancel our current account and establish new service. So naturally I tweeted this out and to Vonages’ credit they obviously monitor social channels, because they responded in a big way, three replies on Twitter, two voice mails and an email. Normally I would never have considered putting any time in to researching an alternative to our phone service, but Vonage managed to put this task on my radar for me. So now I was looking at alternatives, from cable providers, landlines, and obviously other VoIP solutions. What I’m looking for is pretty simple, unlimited US & Canada so we can stay connected with family and friends and low price calling to Sweden to stay in touch with family and friends over there too. What I’ve done in the past has always been to use our Vonage connection for all US & Canada calls and we would use Skype or Google Voice for international calls. I love how I’m able to set Google Voice to automatically handles international calls on my Droid! The cable and landline provides just didn’t compete in the features to price comparisons, they charged more per month and provided less features and higher priced long distance (what’s that anymore). So it was really just a matter of determining the right VoIP solution for our needs. Was it Vonage or one of the many SIP providers or something I haven’t heard of yet? Well after spending too much time on this I discovered an interesting article over at Linux Journal talking about making a Skype Server for your home, which got me thinking of setting something similar up for our home without the wires. We already use Skype both on our computers for video chat with the family, and also for international calls to grandma in Sweden and others, plus we have Skype on all our mobile phones so we could use it when traveling too. Running the numbers comparing features, ease of implementation, initial cost for hardware and installation and yearly costs, I was surprised to find that a Skype solution won out over SIP solutions and Vonage. We ended up going with Skype for our vonage replacement. Ordered an ATA box that will convert Skype to standard RJ11 and a set of Panasonic Cordless Phones that interface with our mobile phones (Droids) through bluetooth. So we can use the cordless phones throughout the house / our property (with amazing range apparently) while making and receiving Skype calls as well as calls from our Mobile phones (supports up to 2). Panasonic even has a range extender if we ever need it on our private island. I just ordered the equipment, so now if everything works out right, we not only got all of the new hardware, paid for Skype service (unlimited US & Canada) for two years, got a great new inbound number and an interface with our mobile phones all for less than 1/2 what Vonage wanted to charge us for 1 year. Have you been considering changing your phone service? What do you think about our new solution?